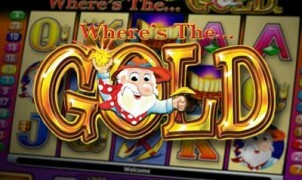 Any player that appreciates the action of online video pokies will love what Where’s The Gold has to offer. 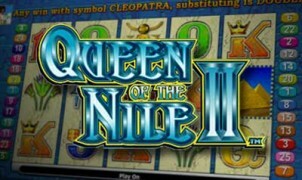 This game, featured by Aristocrat software, is one of the most popular titles from the company and can easily be played for free or for real money online. With a great base game and superb payouts along with a stunning bonus round, the game offers multiple chances to win and will provide endless hours of entertainment. Unfortunately, there is no progressive jackpot offered, but don’t let this deter you from playing this well designed game, all based around gold. The Gold Prospector plays an important part in the game as it is the wild symbol and can appear anywhere on the reels. It is not a multiplying symbol, but it will take the place of regular game icons top create winning combinations. There is also a game scatter, which is the dynamite. Getting two of these will offer an instant payout, but three or more will trigger the bonus round, which is the highlight of the game. 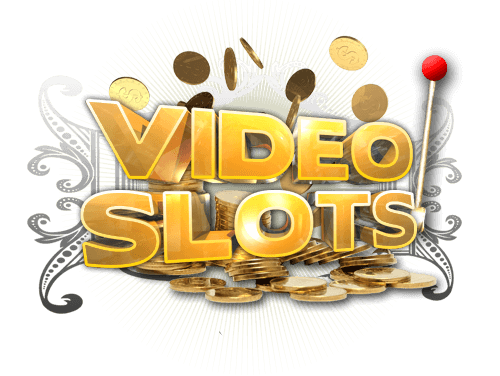 Aristocrat software offer amazing in game bonuses, and during this bonus, there will be five different characters on the screen and each represents a different number of free spins. The characters will also offer gold symbols, which will act as wild icons during the bonus round. The great part of this round is that it can be retriggered. So there are many opportunities to collect dynamic payouts. 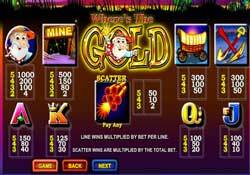 Where’s The Gold online pokie features 25 paylines and players will be in complete control over bet amounts. There are different coin denominations that are supported, starting with just $0.01 per payline. 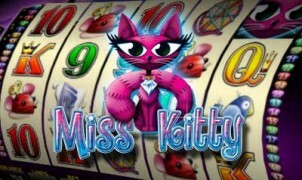 This can be increased to $4, so the game is suitable for low and mid rollers with a maximum bet of $100. The base game features a fixed jackpot of $4000 and the bonus round is where the maximum winnings will be collected since there are multipliers in play. When playing the game online for real money, the RTP is 95%, so there are some great chances to win with this medium variance game. 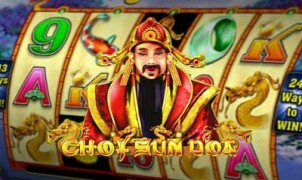 Even without a progressive jackpot being offered, the game can prove to be a rewarding video pokie. Where’s the Gold Online | PC, Mac, iPad, iPhone & Android. 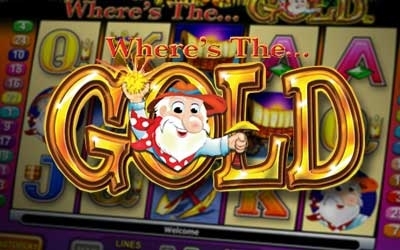 Where’s the Gold is currently available to play in free an funded game play at VideoSlots.com. To play download free, click on the link below, select Aristocrat in the games provider and select Where’s the Gold. New Zealand players are currently unrestricted and can enjoy playing aristocrat games online including Where’s the Gold. Play now on PC, Mac, iPhone, iPad and Android Download Free.